A110-11 LIGHTED JET BLAST FENCE 598 MSL 1100 FT SE OF RY 31 THLD. A110-12 LIGHTED JET BLAST FENCE 568 FT MSL 1167 FT NW RY 13 THLD. A110-14 NO UNAUTHORIZED 180 DEG TURNS FOR ACFT OVER 12500 LBS ON ASPHALT SURFACES. 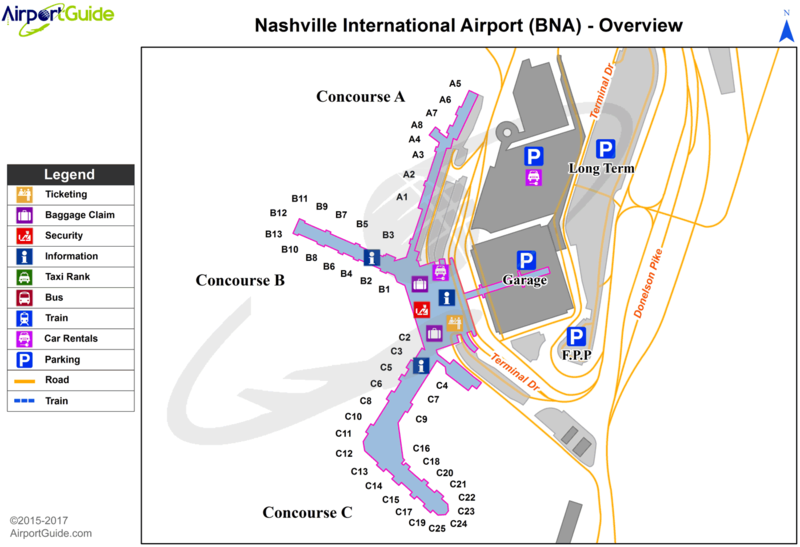 A110-15 NO FLIGHT OVER MAIN TERMINAL BLDG IS PERMITTED. A110-17 BIRD ACTIVITY ON & INVOF ARPT. A110-18 DO NOT CONFUSE 150 FT WIDE TWY S FOR RY 20C. 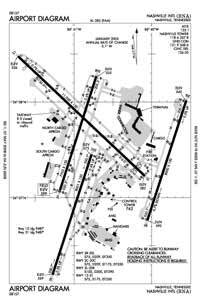 A110-21 'C' CONCOURSE TAXILANES ARE; INNER TAXILANE FOR OUTBOUND TFC & OUTER TAXILANE FOR INBOUND TFC. A110-3 READ BACK OF ALL RY HOLDING INSTRUCTIONS IS REQUIRED. A110-31 ANG: CALL SIGN MUSIC CITY OPS. A110-34 ARNG - PPR CTC 615-367-5579. A110-4 FLIGHT NOTIFICATION SERVICE (ADCUS) AVAILABLE. A110-5 PILOTS COMPLY WITH ALL HOLD SHORT INSTRUCTIONS PARTICULARLY AT TWY K & RY 20C APCH; TWY L8 & RY 31 APCH; TWY L AT RY 13 APCH; AND TWY H AT RY 31 APCH. A110-6 ALL TURBOJET RYS HAVE NOISE ABATEMENT PROCEDURES. MIL FIGHTER/ATTACK/TRAINER TURBOJETS USE RY 13/31 FOR ARRIVAL & DEPARTURE. A44-13 UPWND: TCH 113.6' GLIDE ANGLE 3.25 DEG; DWNWND: TCH 43.5' GLIDE ANGLE 2.75 DEG. A57-13 APCH RATIO 50:1 TO DSPLCD THR. A57-31 APCH RATIO 50:1 TO DSPLCD THR.